(0 Customer Reviews) | Write Review 2 issues per year Exclusive homes and exciting innovations … find it all at Best Home Magazine! Join us as we explore Alberta and British Columbia’s premiere residences that showcase the talent and innovations of the best custom homebuilders and suppliers available. Exposing our readers to a broader base of options and exciting opportunities, Best Home Western Canada offers you more. 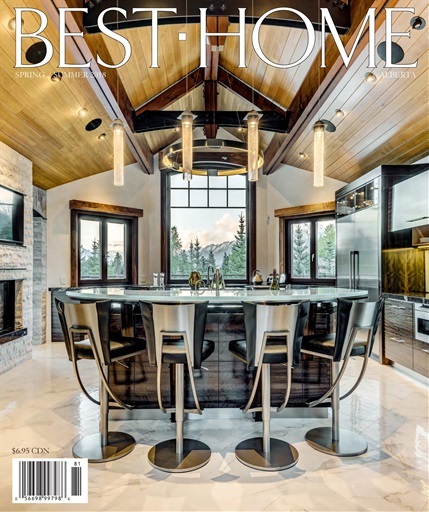 With a focus on innovation and design, Best Home Western Canada is a tri-annual publication that is committed to providing topical and insightful features to empower the home building industry. It also acts as an excellent local resource guide for homeowners, providing relevant information on builders and suppliers while showcasing an inspired view of current trends and ideas. Featuring: AMR, Style Developments, Jaguar Ridge, Birkholz Homes, Spirit Bay, Alana Humphries, Triple Bar Construction, Avenue West End, Riveiera on the Bow, Watermark at Bearspaw and more! 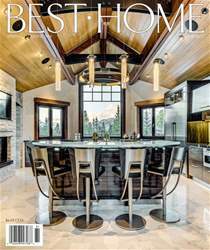 Exclusive homes and exciting innovations … find it all at Best Home Magazine! You'll receive 2 issues during a 1 year Best Home magazine subscription. You'll receive 2 issues during a 1 year Best Home magazine print subscription.